Abnormal mold development in your Haddonfield, NJ home or business can put you, your family, your employees, and anyone spending time in the property at risk. Mold leads to various health implications to those exposed and causes structural damage to the building. Mold exists virtually everywhere, and it plays an important role in our delicate ecosystem. However, if indoor mold levels are elevated beyond “normal,” it begins to hinder the safety of anyone exposed for prolonged periods of time. “Normal” is defined by the outdoor spore count of the natural environment outside of the property. Elevated indoor spore counts indicate an underlying indoor water problem that is promoting the excessive fungal activity. If the mold and the water problems are not resolved, you can be greatly compromising your safety and your family’s safety. 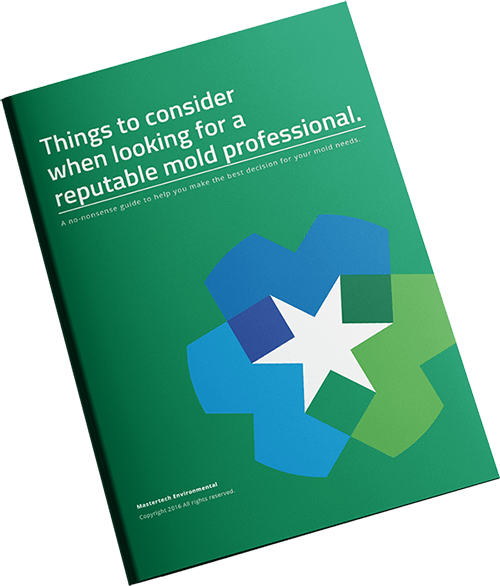 If you have suspicions of a potential mold development in your Haddonfield, NJ property, you should consider hiring a professional mold inspector to complete a Haddonfield, NJ mold inspection. MasterTech’s expert mold inspectors are meticulously trained and fully equipped to safely and effectively handle mold. The MasterTech Team of industry experts have used their years of industry experience and research to craft a mold removal process that promises the safest, most efficient, and most effective mold remediation from beginning to end. The detailed scope of work for every Haddonfield, NJ mold removal job will include: identification and treatment of all areas of concern, a safe, efficient, and effective cleanup, and recommendations for preventative measures that will hinder recurrence. Our 12 step process ensures control of the problem through proper containment and protection of your Haddonfield, NJ property. Our technicians will take care to complete a thorough cleanup and proper disposal of all contaminated materials. Once the work is complete, we confirm the job was done right with post verification testing. As proof of our commitment to the well-being of you and your family, MasterTech includes a 5-year mold-free warranty with every Camden County, NJ mold removal. It is a promise that not only is the mold gone, but it will not come back. When it comes to you and your family’s health and safety, you cannot afford to hire someone to do the job wrong. A bad mold remediation might leave with even more, costly problems further down the road. It is important that you take the time to thoroughly research your options. 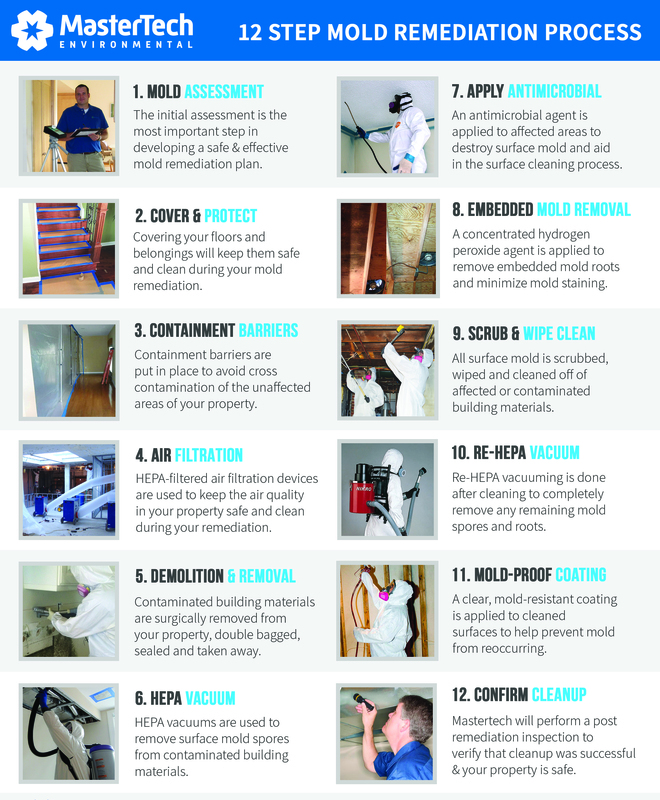 You want to be sure to hire the right mold remediation company in Haddonfield, NJ for you and your family. MasterTech Environmental is a family owned and operated, local company that specializes in environmentally services. We are one of the top-rated Mold Damage Contractors in New Jersey for residential and commercial buildings. For mold removal and mold inspections in Camden County, NJ, call us today! Our mold experts will gladly answer all your questions and schedule you for an appointment. If you are looking for mold removal or mold inspection in Chesilhurst, NJ or mold removal and mold inspection in Gibbsboro, NJ, call 609-948-8844 to speak with a mold expert.